Yes, there are many instant portable printers out there, but with this large choice you could end up with a printer that doesn’t have the right specifications for your needs. Our Review of the Zink Happy Zero Ink Portable Photo Printer is here to help with that! The Zink hAppy Zero Ink Portable Photo Printer. If you are looking at portable printers, whether you a pro artist or photographer or you just want to print out your best holiday snaps then you should look no further then the Zink hAppy photo printer. These printers are also great if you like creating scrapbooks! Zink is a revolutionary company that create Zink Paper a special paper with cyan, yellow, ad magenta dye crystals inside. Before being put through the printer the paper looks like your ordinary plain white paper. But, the magic happens when you print as the dye crystals inside the paper create the printed picture. Meaning Zink print dos not need any ink. Yes, no ink! And that’s how they make such compact printers. The Zink hAppy and hAppy+ was Highlighted at the 2013 Apple Worldwide Developer Conference. The thing that interests us most about this is the easy set up between the Happy App on your phone or tablet and printer. Also the cost effectiveness of the 2” paper compared to ink and other photo printer, but also it’s good, clear quality of the photo printing. 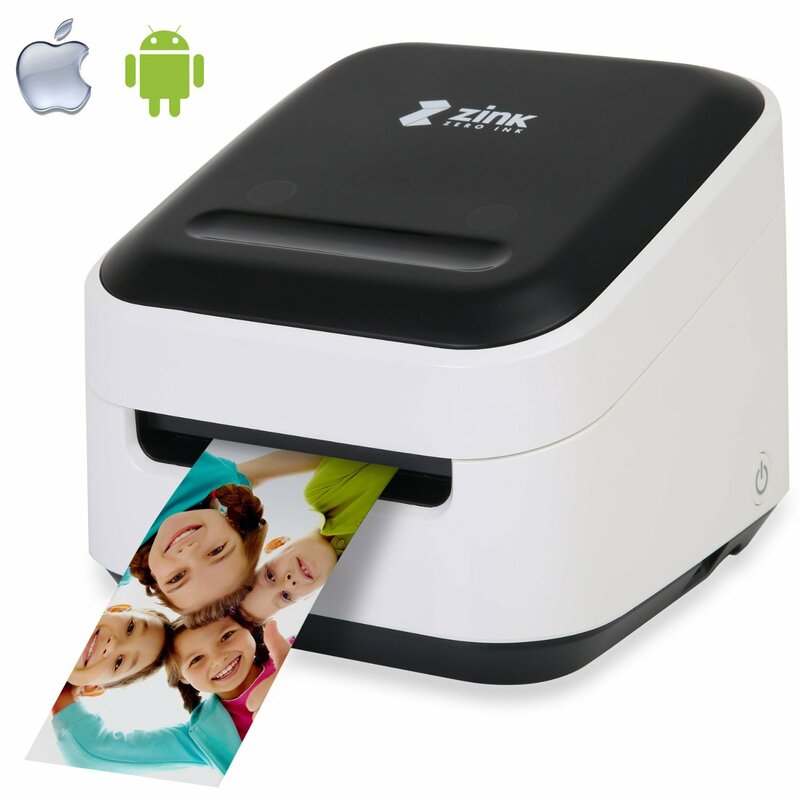 The Zink hAppy is designed to work wirelessly and print directly from IOS and Android on any phone or tablet. Working with iPhone, iPad, iPod touch as well as Android smartphones and tablets. 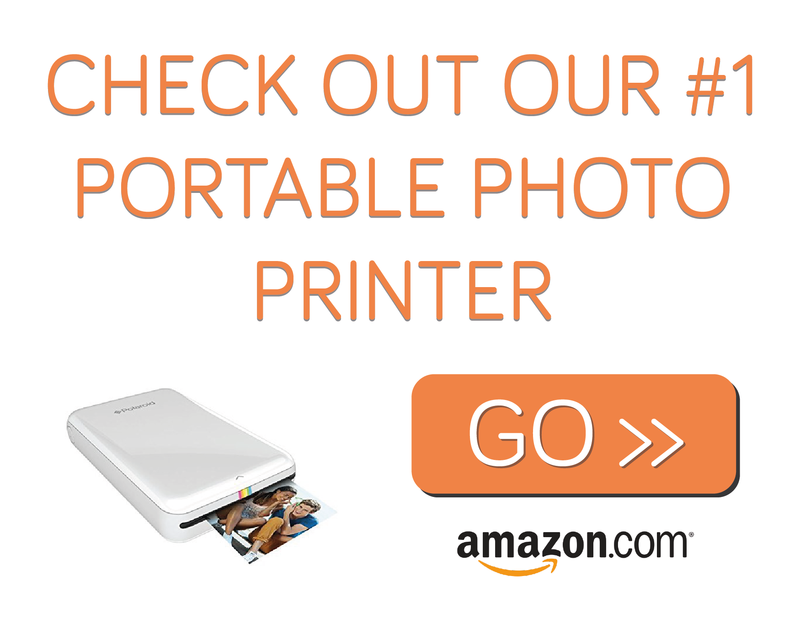 Why Get This Portable Photo Printer? There are many reasons why to get the Zink hAppy printer but one the main reasons is the compatibility and paper options. The printer is compatible with Google Cloud Print apps and Apple Air Print enabled apps. The zRolls paper comes in an many different sizes that are all compatible with the Zink hAppy printer, which have an acid-free adhesive backing to stick on any surface, sizes come in 3/8”, ½”, ¾”, 1” and 2” widths.